On-test: Has Toyota done enough with latest Land Cruiser? Toyota’s Land Cruiser has proved itself over many years as a legendary off-road performer. But how does its latest model fare? Geoff Ashcroft reports. Land Cruiser still looks chunky and purposeful, with off-road credentials to boot. Toyota’s Land Cruiser is one of a handful of hard-core 4x4s which come equipped with low range transfer box, adjustable ground clearance and locking differentials. Not only will it get you where you perhaps do not fancy walking, it will get you back again. And while most would agree that its off-road credentials are beyond doubt, the venerable Japanese 4x4 has some ground to make up when compared to European rivals’ on-road capabilities. This latest model is a good effort at clawing back some of that lost ground. Up front is a Euro 6 compliant 2.8-litre turbo diesel, which replaces the earlier version’s 3.0-litre four-potter. This new smaller, lighter and more refined power unit brings 174hp and up to 450Nm of torque when mated to the Cruiser’s new six-speed automatic transmission. Those seeking a three-pedal experience will only see 420Nm of torque with the six-speed manual box. 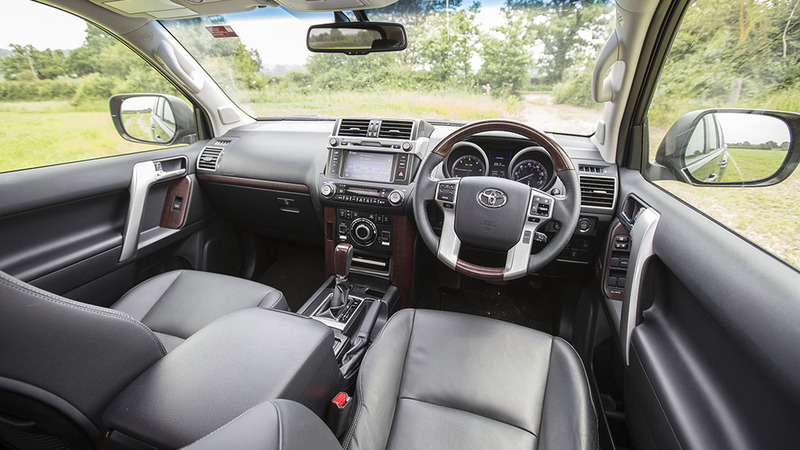 FG tried the latest Land Cruiser with an automatic transmission, and was pleasantly surprised with the seamless nature with which it slid through the gears. Interior is spacious, if not a little dated and short on style. The Invincible-spec 4x4 now offers a better driving experience and smoother delivery, though we could not get anywhere near the claimed 38.2mpg. Low 30s was our best effort from the downsized-diesel. 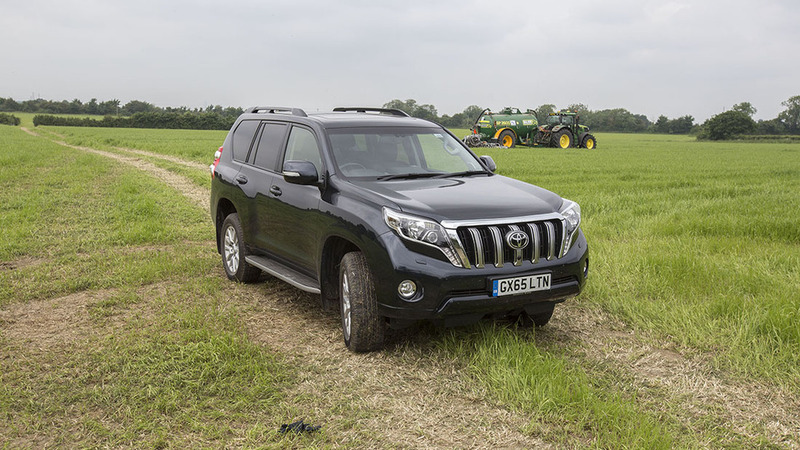 While the new powertrain does a great job of lugging the Land Cruiser around, the 2.8-litre four-pot fails to deliver compared to most of its contemporaries which continue to use higher-powered and nicer driving V6 and straight-six diesels. Only the new Volvo XC90 can compete in the downsizing stakes. By comparison, the Toyota is tardy and a lot coarser than it perhaps should be, and this will have you looking for another log to put on the fire. The ride, while adjustable, is not overly restrained, and you do feel the Land Cruiser’s weight if you start to reach into its reserves. It is not quite what you might expect from a full-sized SUV nudging £60k. Although Invincible specification does bring a lot of trappings; keyless go, 360-degree camera system, rear-seat entertainment system, JBL 14-speaker premium sound system and navigation. 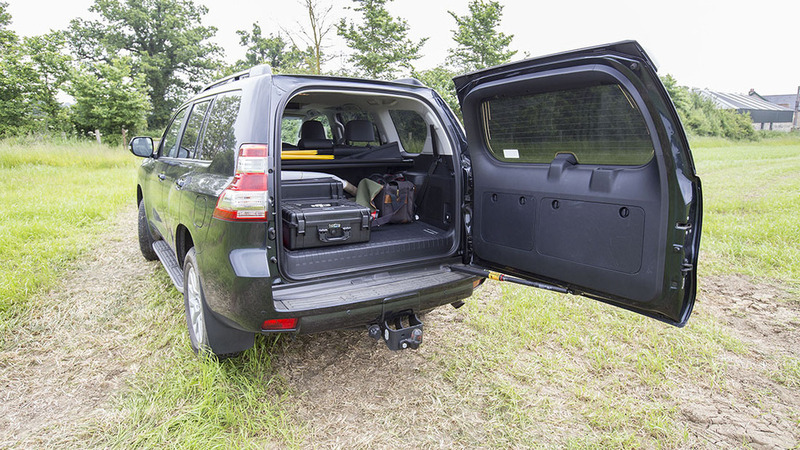 Heavy rear door can be awkward in tight spaces, though rear windscreen does open. Practicalities include heated and ventilated front seats, side steps, privacy glass, adaptive cruise control and lots of safety features too. Then there is the internal space, measured in acres. If you cannot get comfortable inside, you are not really trying. It does live up to the badging - this is a Cruiser. Seats fold flat and a third row of seats with electric folding, really opens the Land Cruiser up, as if you were staring into the hold of an Antonov cargo plane. It takes the grind out of tugging and folding seats when you need more space. Perhaps the only drawback here is the side-hinged rear door. But the rear windscreen does hinge from the top when you cannot get the back door open. Though you might need to stand on the towbar to reach inside. Toyota backs it up with a five-year, 100,000-mile warranty, which like the Land Cruiser’s off-road skill-set, is ground that many of the others simply cannot reach.